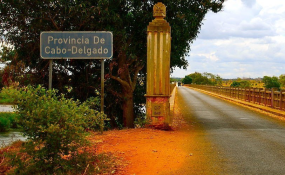 Mozambique showing Cabo Delgado province. Mpataula, 3km from Macomia town, was attacked Saturday morning, and motorcycles and houses burned. There was an attack in Ancuabe Saturday. This morning (Sunday) there was an attack on the town of Iba, Muaguide, Meluco. There were gunshots and injuries but no other details. But the army appears to be gaining ground in Palma and Moçimboa da Praia districts. Carta reports.